Honoring a minister or layperson who has influenced your life or the life of your church. The St. Andrew Endowment has been established by the United Methodist Foundation to honor the work of ministers and laity of the Memphis and Tennessee Conferences. Income from the fund will provide scholarships for individuals pursuing pastoral ministry enrolled in a seminary. The cost of the award is a minimum of $1250. 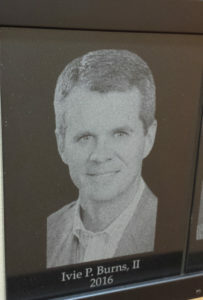 Each honoree will be recognized at their respective Annual Conference and a special plaque recognizing the individual’s award will be hung in either the Memphis or Tennessee Conference office. 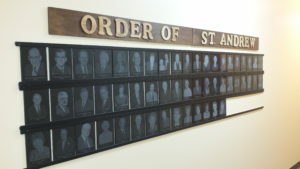 Use the electronic St. Andrew Nomination form to send the Foundation information about your St. Andrew Award nominee or write to us about your nominee and send it with a photo of the honoree and check. Request a brochure to be sent by mail that you can share with your committee or class. 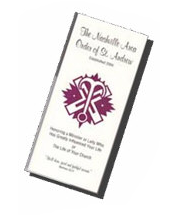 Click HERE to submit an Order of St. Andrew nomination form. Click the image above to read the brochure.